We talk about everything Floorball, specifically related to education, awareness and development of the sport. Let us help you start, build, and grow your Floorball program to be as successful as it can be. In this episode we talk about the need for developing more Floorball specific content, and the importance that play on the development and awareness of the sport. On this episode we talk about the U19 World Floorball Championships coming up this May in Nova Scotia. I'm fortunate to be going to the event to watch, cheer on the teams, and also teach some programs as part of the event. While more and more people are learning and engaging in Floorball the retail market is starting to notice. On this episode we talk about conversations we're having with major retailers outside the Floorball world who are looking to step into this new space. In this episode we talk about the importance return on investment (ROI) plays in Floorball development. Are you working to provide value or simply taking what's out there? I'd argue that you get more when you give. At the same time, as a sport we need to do a better job showing the return on the investment we're asking others to make. In this episode we talk about the importance of taking chances and looking for opportunities as they arise. 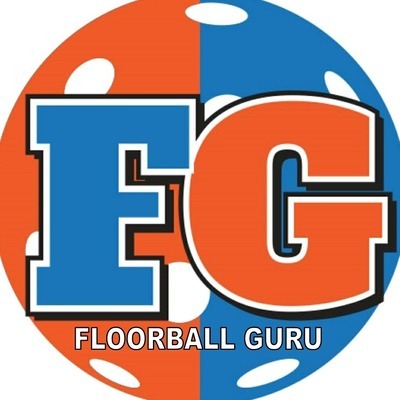 Episode #23 - What's your vision for Floorball? In this episode we talk about the long-term in regards to floorball. Where is it now, where is it going, and what does the future hold? We also talk about the importance of the end game. Check it out. There are a number of Floorball events coming up from now until 2021. Now is a great time to get active and get involved in developing and promoting Floorball. We all come from different backgrounds, and have different goals. When developing a Floorball program what's your focus? Classes, Leagues, or Tournaments? All bring value, but I think there's a specific path to lay out an effective program. It's not a golden bullet, but it does work if you put in the work and give it enough time. Love Floorball? Looking to grow it in your area? You might be thinking about starting a league. Let's talk through that process and some of the things you might want to make sure you're thinking about as you begin that process. We wrote a book on Floorball. Check out why we did it, how we did it, and why we think it will help grow the sport. In this episode we discuss steps and strategies for getting Floorball programs going in your area, business, or school. In this episode we discuss the value Floorball can bring to businesses and organizations working in a variety of capacities. In this episode we discuss Special Olympics and Unified Sports, and how Floorball can be part of including persons with disabilities in recreation programming. In this episode we talk about the relationship between Floorball and Hockey, and inquire about what that relationships might be in the future. The major hockey associations know about Floorball, but haven't adopted it yet. Why? In this episode we discuss the importance of getting sticks in hands of potential customers in order to grow, engage, and develop the sport. In this episode we discuss the challenges and keys to developing your personal teaching style. In our latest episode of Floorball Guru Podcast we discuss youth programming and development, and the importance of both. As athletes and coaches we get too focused on developing athletes within out sport. I argue that we should be doing more to build athletes by using other sports and avenues for training. This episode we talk Floorball and Hockey. Floorball and Hockey aren't the same thing, but complimentary of each other. In this episode we talk about Special Olympics Unified Sports and the potential role Floorball can play on engaging more athletes. Across the country intramural sports plays a vital role on campuses. Most schools play the traditional sports, and at the same time are looking for new and exciting sports to engage a broader population. Floorball can be a sport that does that. In this episode we discuss the experience surrounding the U19 Women's World Floorball Championships. The Ups/Downs, and everything in between. We talk about what the hopes are for the future. In this episode we talk about things to think about when putting an event together. Putting an event, program, or tournament together takes a lot of time and planning. You want to make sure you're setting yourself up for success by focusing on the details. 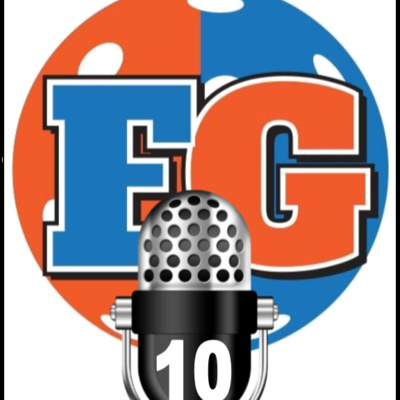 Welcome to the first podcast at Floorball Guru. In this episode we discuss Floorball awareness and growing the game.